ATTRIBUTES: Thought to be poisonous just a couple of hundred years ago, tomatoes are now the second-most-consumed vegetable in the U.S. (bested only by potatoes, according to the USDA). There are at least 10,000 varieties of tomatoes, but just a few are available in stores year-round. All varieties, including flavor-laden heirlooms, can prove challenging to Inland Northwest growers because of the area's short growing season. To improve chances of getting a good harvest, WSU's extension office recommends reducing watering and pinching off blossoms and small fruit by mid-August, to encourage the already-growing fruit to ripen. SUPERPOWERS: Tomatoes are loaded with powerful antioxidants, including vitamin C, which can combat the formation of free radicals that may lead to cancer. 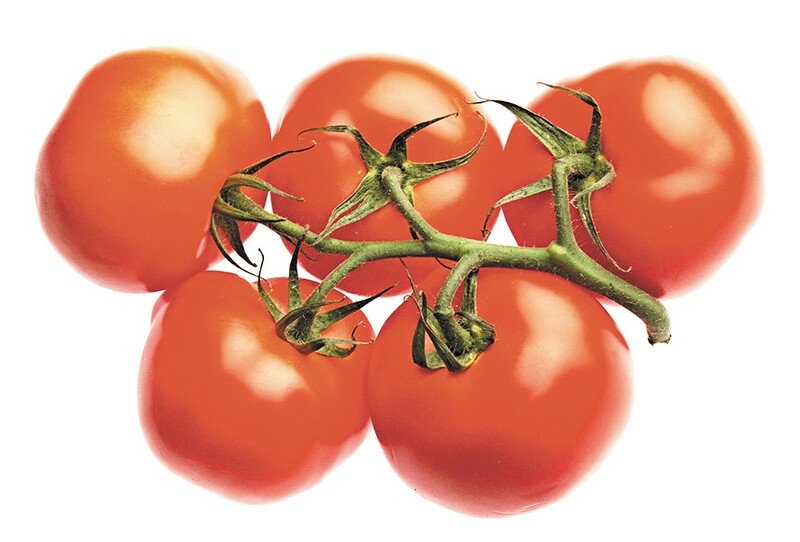 They also contain lots of lycopene, which research shows may reduce the risk of prostate cancer. And they're rich sources of vitamin A and folic acid. The fiber, potassium and choline in tomatoes help support a healthy heart. WEAKNESSES: Is it a vegetable or fruit? Botanically, tomatoes are fruits. For culinary purposes, and according to a U.S. Supreme Court ruling, tomatoes are vegetables. Whether fruit or vegetable, just don't eat the leaves of this plant from the nightshade family — they're poisonous.